As of the 1st July 2015, Spark Media has been appointed as the exclusive sales house for Vodacom’s Please Call Me product, while also offering advertisers access to Vodacom’s full range of other products. Amongst the mobile products offered by Vodacom, advertisers, through Spark Media will have access to Vodacom’s Please Call Me, Vouchercloud, Vlive! and Voicemail alert channels. The Please Call Me’s is a free “call-me-back” service and is actively used by over 15 million users per month, generating over 38 million messages per day. Vodacom, which was established in 1994, is South Africa’s largest mobile network with over a 50% market share, 33 million mobile subscribers and reach across all LSM’s giving advertisers access to over 28 million duplicated users per month on the combined mobile media properties. Although traditionally lumped together with ‘digital’, mobile advertising, as a standalone media platform, must be considered as a major component in any media strategy. According to the recently released IAB South Africa Internet advertising revenue report, conducted by PWC, there were 69.2 million mobile subscriptions in South Africa at the end of 2013, of which 19.9m were on smart phones. Of those, some 15 million were unique mobile Internet users. The mobile statistics and figures speak for themselves! 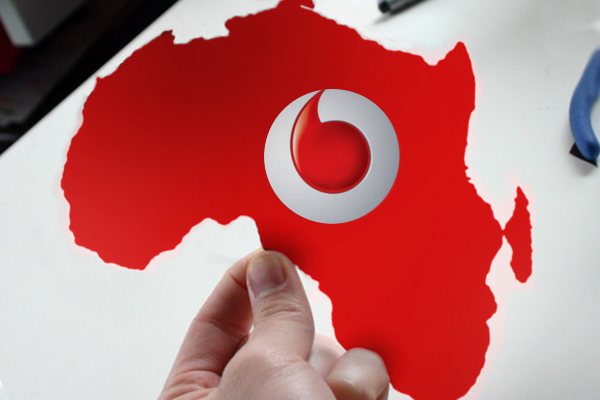 “We look forward to being the conduit that connects Vodacom Mobile and their advertisers, and providing the opportunity for creative, innovative and impactful advertising that will generate an incredible ROI (Return on Investment) for our clients,” concludes Greeff. To contact Spark Media call 010 492 8390 or visit www.sparkmedia.co.za. Find them on Twitter @SparkMediaSA, Facebook (Spark Media) or Instagram (sparkmediasa). Established in 2015, SPARK Media is a result of a fusing between NAB and Habari Media using the legacy platforms and Caxton owned print and digital products – in the form of NAB – and a cutting edge digital sales agency – in the form of Habari Media – to create this new media sales powerhouse. SPARK Media are Strategic Partners in Audience Research and Knowledge and they offer ‘Insights that Ignite’. ROOTS – South Africa’s largest urban and community level quantitative survey – is in field ahead of its release in the first quarter of 2016. The ROOTS survey has been conducted since 2001 and a large portion of the question set has remained relevant, which has allowed for a trending of data and the opportunity to see changes in the marketplace over the last 14 years. However, ROOTS research has shown that growth is coming from the emerging market and this has served as motivation to expand the survey. “This year, we have included additional areas and more questions relating to digital media consumption,” explains Samu Makhathini, NAB’s Research and Insights Manager. ROOTS 2016 is surveying over 150 areas, up from 115 in the 2013 survey; these additional areas will result in the study having the highest township sample in South Africa. What has emerged from this year’s survey is individual stories. “Too often we rely on generalised average and overview data, but South Africa is extremely diverse and does not have a single story of averages and stereotypes to tell,” says Makhathini. Understanding the difference in diverse geographic areas is crucial when developing marketing strategies and this is where ROOTS delivers the local micro communities. “With the data collected this year, we will be able to provide our clients with the individual stories of the South African urban landscape, giving them insights into a buyer’s reading, shopping behaviour and leisure pursuits at community level,” continues Makhathini. Through ROOTS, geographical catchment areas can be defined and analysed. As ROOTS “zooms into” these areas, clients can employ geo-targeting, tailor their products to, and grow their presence within, these markets. Similar, NAB will be able to tailor its content in order to drive traffic to its various platforms. “We are very excited to have the data ready for our clients in March 2016. With these insights, NAB will be able to develop better products to serve these markets and add value to our clients’ growth strategies within them,” concludes Makhathini. To contact NAB call 010 492 8390 or follow them on Twitter: www.twitter.com/NAB SA or find NAB on Facebook.